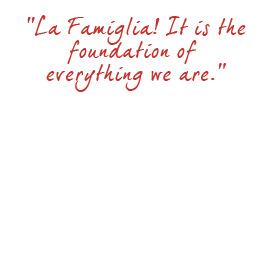 For the Forlinos, family is the centre of everything. Close relationships nurtured across the generations are the unifying ingredient that flavours the dining experience at every one of the family's restaurants today. Chef Osvaldo Forlino arrived in Singapore in 2002 with a passion and dream. Cooking was in his blood as he came from a family of chefs in the small town of Giarolo, in the Piedmont region of northwest Italy. Osvaldo worked as Chef de Cuisine at Pete's Place Grand Hyatt Singapore and Executive Chef at Il Lido before entering partnerships to open his namesake restaurants, Forlino, in 2008, and Osvaldo in 2009. But Osvaldo's real dream was to open his very own restaurant, a dream which came true in 2009 when he pursued his first independent venture, No Menu. The success of No Menu provided the momentum that has seen the addition of three more restaurant concepts - Privato and No Menu Bar, each with its own distinct character and following. Osvaldo may now be a restaurateur, but he remains the ultimate Chef in the kitchen, and oversees the quality of the food served at each of his restaurants. Every morning, the restaurants' pasta and pastries are made fresh in the traditional Italian way, an expertise Patrizia has developed and perfected like generations of mothers and grandmothers before her. 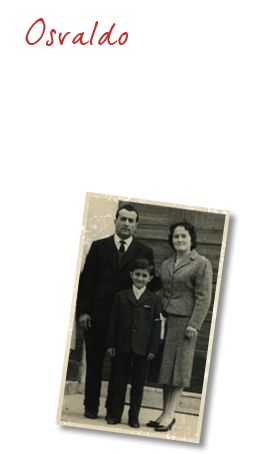 In fact, it was under the wings of Osvaldo's mother and grandmother that Patrizia picked up the finer skills of authentic Italian pasta making. A highly spirited, positive and ever supportive wife and mother, her passion and tenacity inspires and connects those around her. Patrizia's enthusiasm to share the traditions and treasures of Italian food and culture always finds a way to shine with effortless ease. "You eat also with your eyes and your heart," says Patrizia, who believes the surest sign of a good meal is when guests linger at their table, as wine and conversations flow, long after the food is gone. Her charming and jovial Italian accent adds to the charm of this delightful lady. The strength of the family bond is evident in the couple's older daughter, Serena, who in the midst of a glamorous, high fashion career in Milan was intrigued with the prospect of relocating with her family to Singapore. She has embraced the opportunity to transfer her creative talents to the family business and is integral in generating inspired marketing concepts. Serena is continually expanding her skills and developing her intuitive ability to anticipate, understand and deliver what people want, often before they even ask. In addition to her strength in customer service, events coordination and staff welfare, her inherent marketing sense is helping to build the restaurant group's recognition in the local community. At the heart of operations is younger daughter, Gaia. Displaying the same dedication, passion and devotion she learned from her mother, Gaia is developing an expertise for managing the group's wine inventory in collaboration with experienced sommeliers. Hand-picking a variety of wine selections that are imported directly from Italy, Gaia has become instrumental in identifying appropriate pairings for the delectable culinary creations devised by her father. Her experience living on a food-producing farm has helped her appreciate the importance of high quality ingredients, and has enabled her to more fully recognise the connection between food and wine pairings. 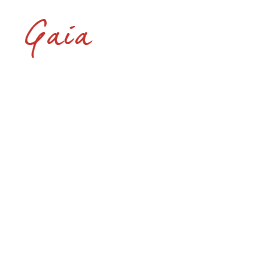 Gaia can also be found bustling about the various restaurants in her front-of-the-house role, where she has a natural ability to make guests feel at home. Osvaldo’s niece, the soul of No Menu restaurant. She is the right person to advice you when it comes to choosing the menu and she brings fun and humor during your dining experience.